Professional marketers, managers and executives are always learning new skills in order to ensure their business grows and succeeds. An effective way of learning about new ideas in the world of marketing is by participating in a conference or seminar. These events showcase leading businesses and provide insights into proven marketing approaches, as well as emerging trends in marketing. Seminars and conferences are held regularly in Reading and give local businesses and marketers a forum to build relationships and expand their knowledge. The Berkshire Media Group (BMG) is the UK's largest independent newspaper publisher. In addition to publishing, BMG organises annual business shows for Berkshire businesses in Reading. BMG Events' annual business show is an opportunity for local businesses to showcase their products and services. The event is also an opportunity to build relationships and network. The trade expo at BMG's annual business show attracts over 80 businesses. The one-day conference and trade show is free to attend and features speakers, workshops, and networking sessions. In 2014, BMG Events organised Berkshire Means Business in the Royal Berkshire Conference Centre at Madejski Stadium in Reading.For more information about the BMG Events annual business show, visit www.bmgevents.co.uk. The Thames Valley Chamber of Commerce is one of the largest Chambers in the UK. The Chamber is a leading voice for local businesses and entrepreneurs across the Thames Valley, including those based in Berkshire, Buckinghamshire, Oxfordshire and Swindon. Each year, the Chamber organises over 200 events for local businesses in and around Reading and across the Thames Valley. These regular events are opportunities to learn and build relationships through workshops, speakers' series, presentations, conferences and networking events. Among the events put on are seminars on marketing, including regular seminars on international marketing and trade. To find an upcoming seminar or other events organised by the Thames Valley Chamber of Commerce, visit www.thamesvalleychamber.co.uk/events. Founded in 2005, CommuniGator provides managed email marketing solutions for marketers in a variety of businesses and organisations. 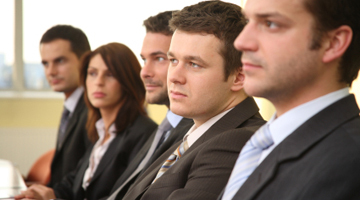 CommuniGator has organised best practice seminars in marketing since 2006. These free seminars provide advice and guidance on email marketing, social media marketing and other emerging digital marketing trends. Seminars contribute to Continuing Professional Development (CPD) for professional marketers who are members of the Chartered Institute of Marketing (CIM). Each session lasts for half a day and equipe attendees with tools to develop action-items for their businesses. Seminars in Reading are held at Green Park, a business park in the city. CommuniGator also puts on similar seminars in communities across the UK, including London, Cambridge, Birmingham, Brighton, Maidstone and Nottingham. For information on upcoming email marketing seminars delivered by CommuniGator, visit www.communigator.co.uk.